You could be wining and dining at one of our numerous cafes and restaurants available around the famous esplanade within minutes from leaving the house. Even closer you could relaxing at the Spa St Clair. Take in the breathtaking views of the coastline. Surf the waves, walk the beach, swim in the salt water heated pool or enjoying the children's playground. Five minutes drive will allow you to be golfing the St Clair course or the Chisholm Park links course. 500m away and you can be enjoying the Forbury Park raceway. This recently renovated, spacious warm and cosy four bedroom (3 available) villa awaits your group. The house has two heat pumps and the open plan layout is ideal for entertaining and relaxing. Great indoor outdoor flow and a house that maintains its warm all day long. A large backyard for kids and pets and loads of off street parking along with an enclosed section create a number of benefits for a family on retreat or a tourist on holiday. A main bus route for the main city centre is 100m away and taxi costs are $20 approx. Your St Clair experience awaits. would be welcoming in all seasons. Thank You for our great holiday. This could become an annual event! This is our second year returning to this lovely accommodation and all the fantastic things St Clair offers. This could become an annual event! The property is excellent - suited our family of 6 perfectly. The rooms were immaculate and the tree house and trampoline kept the kids entertained when in the house. The property is very close to the St Clair beaches with their cafes and restaurants all in a very short walking distance; this includes the hot salt water pools just along the beach that are definitely worth a visit. 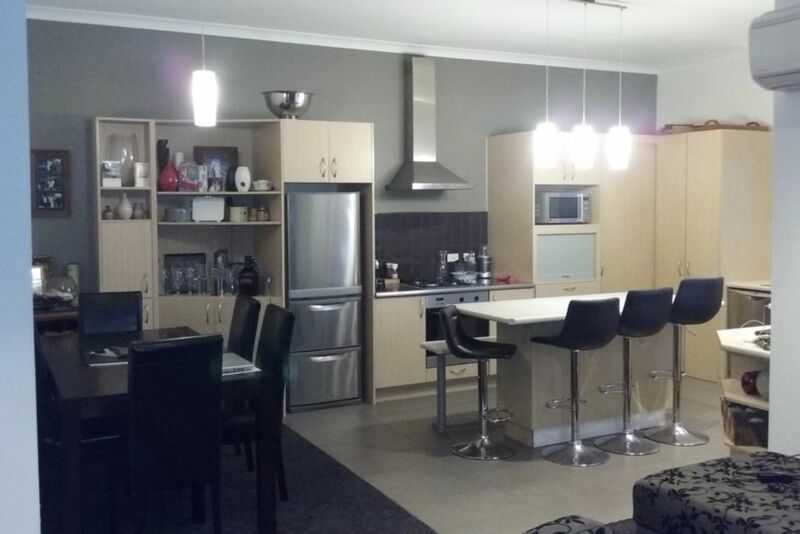 The apartment is in a great location near to the beach at St Clair. The kids love all the activities in the back garden and the apartment is more than big enough for all six of us. Would definitely be back. Lovely house and awesome back yard for kids and bbq's. Photo's on the website don't do the place justice. Outstanding location also, 2 minutes walk to the restaurants and St Clair beach. A little out of our normal price range but definitely worth it. Highly recommend. Awesome location quite by the seaside.